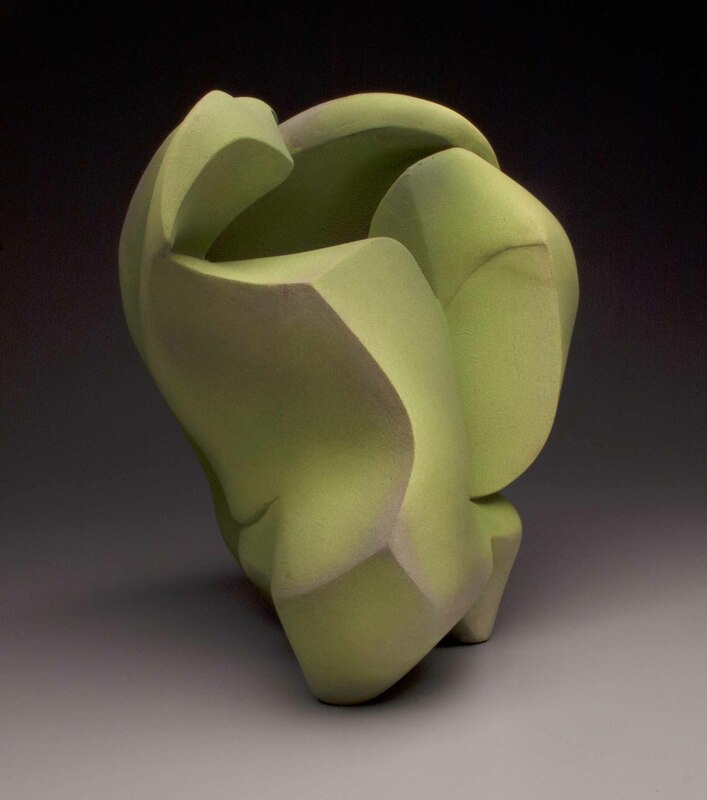 Alix Knipe makes sculptural ceramic vessels that integrate the anthropomorphic rhythms of anatomical shapes with the organic undulations of natural land formations. Each work precariously balances between softness and rigidity, vessel and sculpture, monumentality and intimacy. “Alix is particularly interested in the synthesis between the cultural constructs of beauty, history, and belief, how these manifest themselves in material culture and art. Through travel she investigates the connection between aesthetics (beauty, decoration), history (i.e. memory, tradition, etc. ), and belief (philosophy, world view, etc. ).” She has studied ceramic traditions in both Turkey, as a Fulbright Research Fellow, and in Burma with the help of a Graduate Student Fellowship from National Council on Education for the Ceramic Arts, NCECA, to research Burmese ceramics in Myanmar. 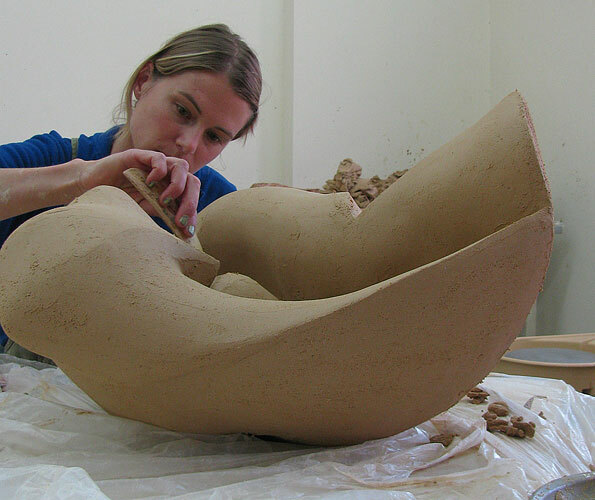 She has held residencies at Anderson Ranch Arts Center and Carbondale Clay Center. She has her Master of Fine Arts degree from the University of Nebraska- Lincoln in Ceramics.